Whether you are improving a house to sell or just want to do a little home maintenance to enjoy your home, even more, working on the outside is just as important as working on the inside. 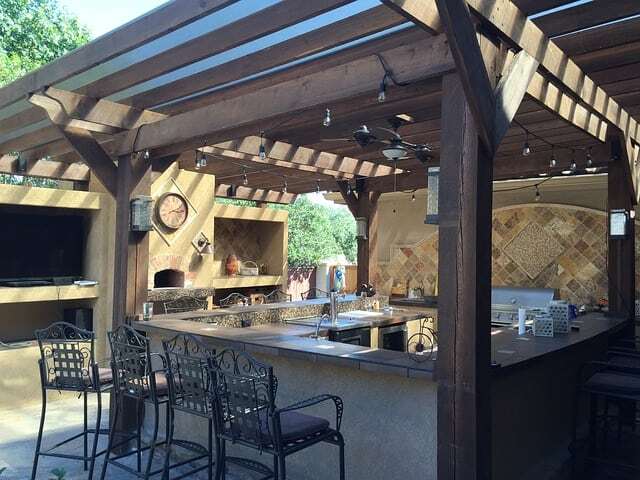 With that being said, here are 10 simple outdoor projects that really boost your home’s value. Having an outdoor fire pit is almost a no-brainer. We can enjoy the view, listen to the waves, and stay toasty warm. This little project can realize a 78% return on your investment and can cost anywhere from $100-$5000 depending on how elaborate you want to go. #2. Create an instant lawn with sod. You can always reseed your lawn but if you want a quick fix, consider laying sod. It cost about $700 for a 1000 square-foot yard but you can boost your homes resell value by $1000 making it a healthy 143% return on your investment. #3. Pave a gravel driveway. Gravel driveways may be acceptable but if you really want to boost the look and appeal consider paving the driveway with pavers or just a new layer of gravel. Gravel driveways can be anywhere from $4000 on up but paving could be a lot more expensive, however, there will be a 75% return on your investment. #4. Have a landscape makeover. Luscious and neat landscaping can definitely increase your home’s value and it could give you a healthy 105% return on your investment. Consider natural flagstone, walkways, stone planters and mulch. Related: Can too much mulch be a bad thing? #5. Add a wood deck or add-on. 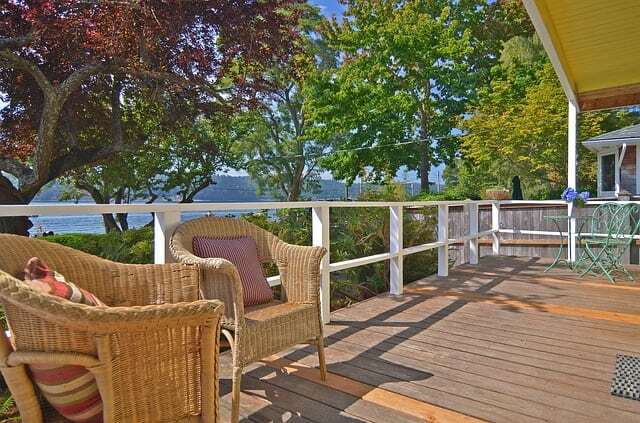 Consider installing an attached or even a detached wooden deck or simply add on to what you may already have. It’s the perfect spot for relaxing and entertaining and can give you a return of almost 83%. #6. Install a backyard patio. This can be a pricey investment but it can give you a 60% return. Paver stone patios and outside living areas can range from about $4000 on up and concrete patios cost less than brick or flagstone patios. Depending on how elaborate you want to go, this costly renovation can set you back between $10,000 and $25,000, however, it can give you a 100% to 200% rate of return. It can be built in, be plumbed, have electricity, a refrigerator and of course a great grill. Not only is it a safety thing but it can create magical ambiance in your yard. You get a 50% return on your investment for outdoor lighting either along the driveway, solar lighting, under about lighting, or porch lighting. #9. Install a sprinkler system. One of the best investments for a great looking lawn (especially after you’ve laid the sod) is a buried sprinkler system. This can run between $3000 and $4000 but it can give you anywhere from a 40% to 50% rate of return and you could save a lot of water having things run on a timer. Not only is this good for the environment but it really boosts your rate of return on your house as well. It can give you shade, provide food if you plant fruit trees, and really give the home a mature and established look. Start with some of these great outdoor projects to really improve the look of your house before people even walk-in. And, if you’re looking to sell your home please give us a call today. We’d love to price it for you and give our tips and tricks on how you can boost your home’s value. The last thing you want is your entire house falling apart and a mountain of home maintenance tasks AND that’s the last thing buyers want as well. 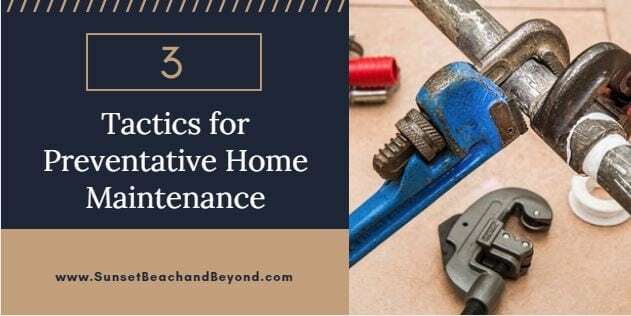 Whether you are selling your home or just giving it some love, staying on top of home maintenance will make it much easier to manage when little hiccups come along. If you’re looking to simplify your life, use these 3 tactics for preventative home maintenance. #1. Repair things right away. I know this seems like a duh idea but don’t let that list get long. In the age of technology, we can tell Alexa or Google to put things on a shopping or to-do list. Do it right away. Light bulb out? “Alexa, put light bulb on the list”. Leaky faucet? “Okay Google, put clamp on the list”. Whatever it is, don’t wait longer than 4 days to fix it otherwise it will get thrown to the wayside and forgotten until your floor is soggy and your house is dark and you have to make special trips to get things done. Get the items you need next time you’re out and just complete the task. Set yourself a reminder on your Apple Watch, FitBit or Phone. Don’t let the repair go past 4 days if you can possibly help it. #2. Get the service done rather than the repair. Keeping your heating and cooling systems in good working order is one of the best preventative maintenance things you can do. Call a furnace specialist for an annual service and same with cooling systems. We do this for our cars, why not our houses? We want our systems to run smoothly and it’s hard to think about them when they are running great, but when they don’t it can be really expensive to repair. Think of this with your appliances as well. Get cleaning solutions for dishwashers, washing machines, and other appliances to keep them clean and working well. Vacuum out the lint hose of your dryer at least once a year. Make a list AND when to do it so you’re not stuck one whole weekend doing everything. Add a project a weekend until it’s all completed. You’ll feel better and your home will run more efficiently. #3. Keep an eye out for leaks. Water leaks are one of the biggest problems a home can have. Water damage can cause a mountain of expensive repairs so staying on top of them is essential to keeping a well-maintained home. Anytime you see a leak anywhere, nip it in the bud right away. Look for dark spots under pipes, in cabinets, toilets that rock and any drips. Fix roof leaks immediately and NEVER put off a repair. A $200 repair could prevent a $2000 replacement. It can be difficult to create a new habit of repairing immediately but once you do, you’ll be much more relieved. You’ll also get so used to it and you’ll automatically repair things as you go. Once you get in that habit, the house will stay cleaner and you’ll feel less stressed. Have more questions about home improvements? Give us a call! We handle all home buyers in the Sunset Beach real estate market and beyond.